Whether we’re collaborating with teammates in different parts of the world, troubleshooting client issues on location, or checking email on the way to the airport, cloud apps and mobile devices have fundamentally changed the way we work. But they’ve also changed the way businesses need to approach security. Today, the average user works on three or more devices, and needs quick access to the business apps they rely on so they can work wherever, and whenever, they need to. At the same time, IT administrators are challenged to stay on top of an ever-evolving ecosystem of users, apps and devices. 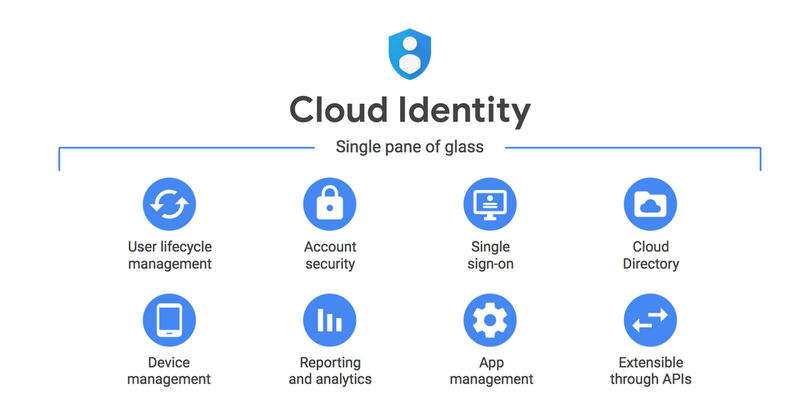 At Google we’ve faced these challenges firsthand, and have applied what we learned from our experience managing billions of consumer and enterprise identities to bring you Cloud Identity. With Cloud Identity, employees get simple, secure access to their business-critical apps and devices, while administrators get the tools they need to manage it all in one unified location. Cloud Identity gives people simple, one-click access to the apps they need so they can work from anywhere, on any device. 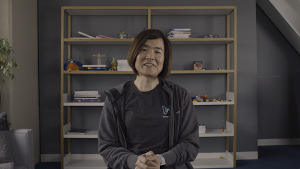 This means employees can focus on their work, while admins can manage identities, associated apps and devices at scale from one integrated console as people join, move within, and leave an organization. Cloud Identity’s single sign-on supports SAML 2.0 and OpenID, and works with hundreds of applications out of the box, including Salesforce, SAP SuccessFactors and Box as well as G Suite apps like Docs or Drive. And for organizations using GCP resources, Cloud Identity provides additional controls for managing users and groups across their hybrid on-premises and cloud infrastructures. Gone are the days when employees worked from one computer at their office to get the job done. Today, they need the freedom to work from anywhere, and understanding that context—what they need to do, where, and with what device—is what should guide enterprise access. Having the right mobile device and application management posture for this is paramount. Cloud Identity includes robust mobile device management for Android and iOS with many features like account wipe and passcode enforcement automatically enabled for users. Admins can use one integrated console to implement screen locks, find devices , enforce two-step verification and phishing-resistant security keys, and manage Chrome Browser usage. They also get security reports and analytics for things like suspicious logins, user activity reports and audits, and logins to third-party apps, sites and extensions. Integration partners like Salesforce have told us they’ve benefited from these additional security postures. “With the combination of the Salesforce Platform and Cloud Identity's robust support for Security Keys and Chrome management, companies can focus on delivering customer success with confidence that they're providing the right service, to the right user, at the right time,” says Chuck Mortimore, SVP of Identity & Security Product Management at Salesforce. Because of Google’s commitment to open standards in the security space, Cloud Identity was built to be open. It’s easy for customers to seamlessly integrate other cloud and on-premises directories with Cloud Identity. We’re also continuing to work with our strong ecosystem of identity partners so that customers can choose the best solutions to meet their requirements across hybrid-deployments. Cloud Identity was built to give enterprises all the functionality they need right out of the box. That means businesses have the right tools to protect their users, devices and data all in one place—without needing to add other solutions or licenses. Over the past few months, we’ve worked with a broad range of customers, such as ExtraHop Networks and HealthChannels, to help them meet their identity needs. Cloud Identity is available today. 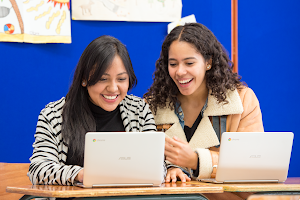 If you're interested in learning more, read our docs and solutions, or visit cloud.google.com/identity and sign up for a 14-day trial.